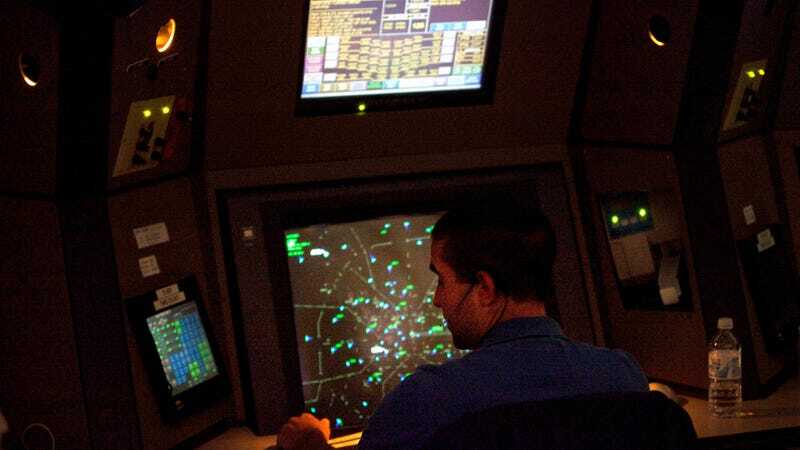 An air traffic controller working at Atlanta TRACON in Peachtree City, Georgia, in 2011. The unions wrote that air traffic controllers, security and law enforcement personnel, safety inspectors, FBI agents, and “many other critical workers” have been working for over 30 days without pay at a time when air traffic control staffing is already at a 30-year low. They added that controllers can only “maintain the system’s efficiency and capacity” by working unpaid overtime, sometimes involving 10-hour days and six-day workweeks, and that the shutdown of Federal Aviation Administration training facilities will create a backlog in new hires. The situation is changing at a rapid pace. Major airports are already seeing security checkpoint closures, with many more potentially to follow... Last Saturday, TSA management announced that a growing number of officers cannot come to work due to the financial toll of the shutdown. In addition, we are not confident that system-wide analyses of safety reporting data, which is used to identify and implement corrective actions in order to reduce risks and prevent accidents is 100 percent operational due to reduced FAA resources. According to the New York Times, as many as one out of ten transportation security officers have not showed up to work at times, and airlines “are losing more than $100 million a month in revenue” as travelers have become concerned about wait times and safety. Earlier this month, the Washington Post wrote that 24,000 FAA employees deemed vital for “life and safety” were working without pay, while another 17,000 had been furloughed. New York Magazine wrote that the president of the AFA, Sara Nelson, called for a “general strike” by labor unions—though stopped short of calling for one specifically by aviation workers. Some reports on Wednesday suggested that Donald Trump’s administration is prepared to let the shutdown—which, again, is about the president’s demand that Congress authorize $5.7 billion for his ridiculous border wall or some kind of face-saving wall-like object—extend into March or even April. That could result in catastrophic effects on everything from food stamp availability and federal courts to failure to pay government leases.